www.chimneys.com: Site contains information about a wide variety of chimney products as well as offering a section dedicated to informing the homeowner about chimney and venting issues. www.woodheat.org : Here, you will find support for your efforts to use wood well. Clear up some misconceptions about wood heating – there are a lot of them around. Here, you’ll get a balanced view of the merits of wood heating. www.rumford.com: Rumford fireplaces were common from 1796, when Count Rumford first wrote about them, until about 1850. Jefferson had them built at Monticello, and Thoreau listed them among the modern conveniences that everyone took for granted. There are still many original Rumford fireplaces – often buried behind newer renovations-throughout the country. 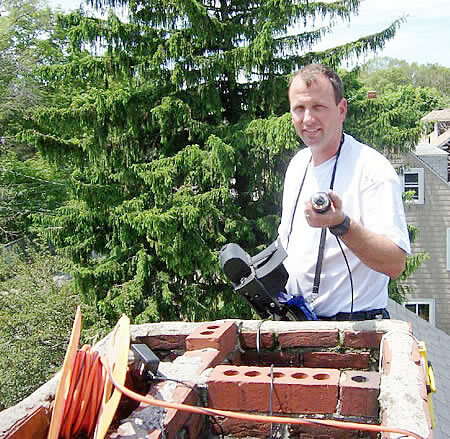 www.csia.org: The Chimney Safety Institute of America (CSIA) is a non-profit, educational organization dedicated to chimney and venting system safety. CSIA is committed to the elimination of residential chimney fires, carbon monoxide intrusion and other chimney-related hazards that result in the loss of lives and property. To achieve these goals, CSIA devotes its resources to educating the public, chimney and venting professionals and other fire prevention specialists about the prevention and correction of chimney and venting system hazards. www.ncsg.org: It is the mission of the National Chimney Sweep Guild to promote the success of its members by providing progressive services, encouraging professionalism and ethical accountability, and advancing the chimney and venting industry through public awareness of the trade. www.mcsguild.org: The site of the Massachusetts Chimney Sweep Guild. www.chimneyswifts.org: Have a bird nesting in your chimney? It may be a Chimney Swift. This site has some helpful information about the Chimney Swift including a four-page publication designed to acquaint people with Chimney Swifts and the conservation efforts of the Driftwood Wildlife Association’s North American Chimney Swift Nest Site Research Project. It includes a brief life history of Chimney Swifts, tips for homeowners and basic information on the construction of Chimney Swift Towers.